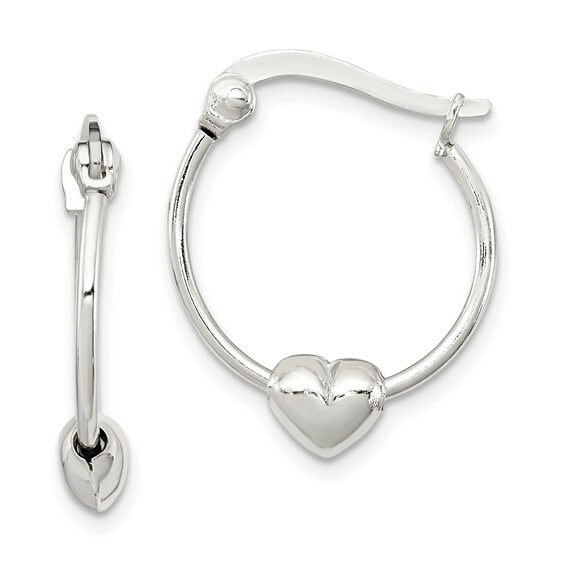 Heart Hoop Earrings are made of polished sterling silver. Item size: 5/8in x 5/8in. Each earring is smaller than a dime. Weight: 1.5 grams. Made in Thailand.